Pressure washing your house or driveway are easy ways to clean up things. You can bring new life to tired and dirty siding, or brighten up your driveway and sidewalks from dirt and grime. Pressure washing your house every year or so will keep your siding clean. If you have sides of your house that do not see a lot of sun, you may have a buildup of mold and mildew as well. This is unsightly and can be a health hazard if it’s allowed to grow for too long. Using detergent will make the job simpler because the soap will penetrate the dirt and mold and allow it to be washed off more easily. You need to use the specific detergent solution specially formulated for cleaning your house siding – whether it be vinyl, stucco, brick or wood. Purchase environmentally friendly solutions because of all the plants and grass you have around your house. While pressure washing your siding, make sure you avoid all outside vents and openings. A brush attachment can be helpful, especially if you are cleaning garbage cans or outside furniture like wicker. Brick edging and vinyl porch railings can all benefit from a cleaning on an annual basis, especially if they don’t see much sun. Pressure washing your driveway is a good idea as well. 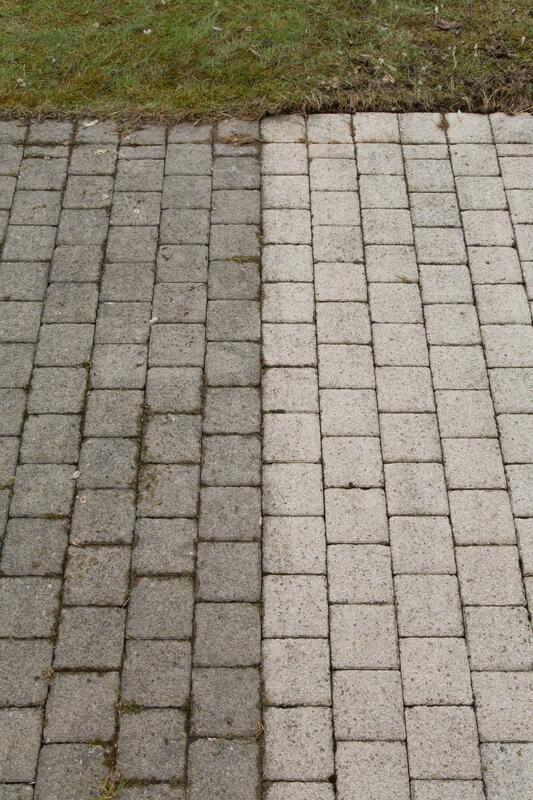 Over the years, grime from your tires, oil drippings, and dirt and pollen can make your driveway look dull and dirty. Before cleaning your driveway, pre-treat and clean any oil spills with the appropriate cleaners. 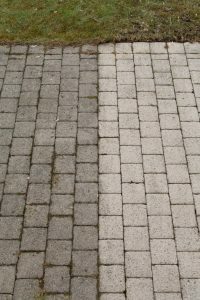 This will allow your driveway to have a more uniform appearance once clean. Pressure washers between 1300 to 1900 psi, are good for general us. They can be used for your house and driveway, but also for patio furniture, outdoor play equipment, grills, and decks and patios. Using a pressure washer is an easy way to get your house looking it’s very best!